Marine Corps Ends Female Infantry Officer Program. Guess How Many Graduated? An 18 month trial period allowing female Marines to attend the Marine Corps’ Infantry Officer Course will end without a single female graduate, reported the Marine Corps Times. In October 2014 the Marine Corps broadened the requirements for applicants to encourage more volunteers, making hundreds more Marines eligible. But new applicants also had to have a first-class score on the male-version of the Physical Fitness Test. Seven more women volunteered, and three managed to pass the Combat Endurance Test, but none successfully completed the course. 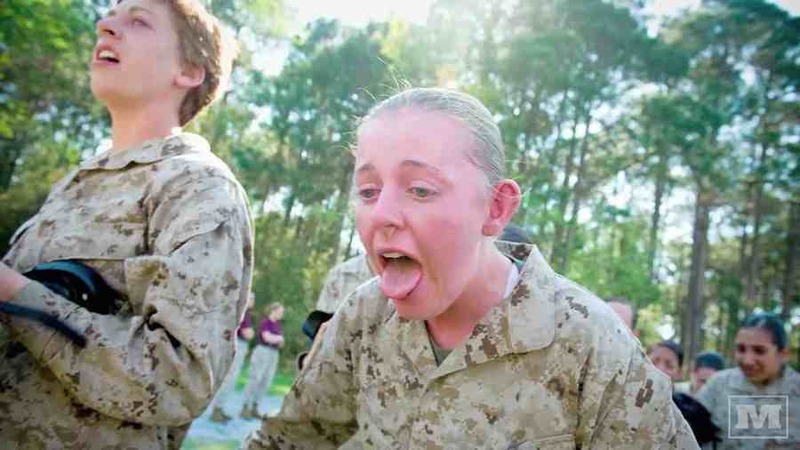 The most recent and final course began April 2 with two female officers, but both were dropped the first day after failing to complete the Combat Endurance Test, a spokesperson for Headquarters Marine Corps told the Marine Corps Times. The goal was for 100 women to complete the course, but only 29 in total made an attempt, and none of them passed. The number of volunteers, their pass rate and their performance will be considered along with other data, such as the success rate for female Marines in completing a separate Infantry training course in North Carolina. The information will be compiled for Commandant Gen. Joseph Dunford Jr., who will make a recommendation to the Department of Defense on whether to allow female troops to take part in ground combat operations.